Jon Heath : What will the next Madden be called? EA Sports says "Madden NFL 15"
What will the next Madden be called? EA Sports says "Madden NFL 15"
From 2005 through 2012, EA Sports dubbed their annual Madden NFL video game the number of the following year (Madden NFL 06 through Madden NFL 13). Last year, EA commemorated the twenty-fifth edition of the game by calling it Madden NFL 25. Starting this August, EA will be returning to the yearly number. 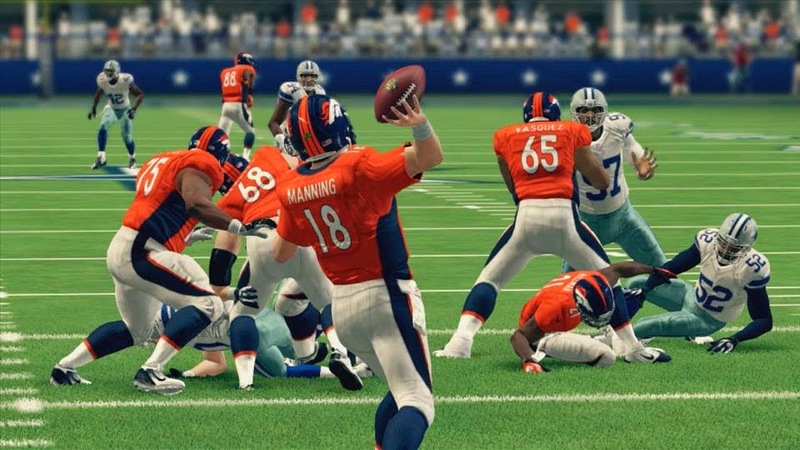 The next installment of Madden, due to hit stores on August 26, will be called Madden NFL 15, EA Sports announced on Monday. This year's version of the game will be available on Xbox One, PlayStation 4, Xbox 360, and PlayStation 3. EA said in a press release that this year's game will feature "the most immersive defensive gameplay control in franchise history." EA also boasted of an improved broadcast presentation and coined this year's marketing campaign: "Madden Season." Pushing their improved defensive gameplay, EA's first commercial for the game features Carolina Panthers linebacker Luke Kuechly "transforming" into a Madden player. This year's cover athlete will again be voted on by the fans, ESPN announced in a tweet Monday. Last year's cover vote included current Denver Broncos linebacker Von Miller (who was eliminated in Round 2) and former Bronco running back Terrell Davis (who was eliminated in Round 1). More details on the Madden 15 cover vote will be announced on ESPN and NFL Network during the NFL Draft on Thursday, May 8. Update: EA announced on Monday evening that cover voting will begin on the first night of the NFL draft (May 8).